When an individual is pursuing a career in acting, he or she needs to get in touch with an acting agent. Having an agent is one of the first steps to a flourishing career in acting. Talented individuals can take the help of these professionals to establish contacts in the entertainment industry and build their careers in this domain. An acting agent would get auditions for their clients and negotiate deals on their behalf. Many a times, the big production houses and studios would submit breakdowns to these agents, and they in turn would contact their clients for potential auditions. 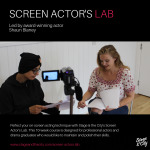 Without the support of these agents, talented actors would miss out on their chance to book jobs on big budget films and well-known television shows. An acting agent would also take up the case of their clients in instances of legal and financial disputes with major studios or production houses. With their assistance, the actors get a more level playing field; these people would negotiate deals for them, book acting jobs, and pitch actors before major studios and casting directors. Typically, an acting agent would spend time on the phone or on the Internet and submit their clients’ headshots to the directors looking for new talent. Their aim would be to land their clients in as many casting calls and auditions as possible. Many a times, these agents have a rapport with the major production houses and directors and are in a position to pitch their clients for different projects. There are different types of acting agents for myriad talents, and one actor can sign with many such agencies to get the best representation possible. There are the commercial agents for commercial work, theatrical agents to represent talented individuals interested in films and television work, and print agents for people who are on the lookout for print work in magazines and catalogs. Then, there are the voice over agents for individuals who want to secure voice-over work. There are differences between agents in terms of their experience, contacts, and years spent in the business. There are the A level agencies representing celebrities and big names, and B, C, and D level agencies representing actors at other levels. Now that we have a basic idea out acting agents, we would also like to know more about ways and means of contacting them. One of the easiest ways to do so is to become the member of certain sites which act as a common platform between new talents on the one hand, and the acting agencies and production houses on the other. If you are an aspiring actor or model, you can create your profile in any such site and hope to get a call from a reputed casting agency within a very short time. To know more about London acting agencies, London casting agencies, and casting agents London, you can visit www.castingnow.co.uk.